How to Choose the Perfect Rug Pad for Your Home | Protect Your Rugs and Floors! I partnered with RugPadUSA for this post. My opinion of their products is 100% my own. For more information, please see my disclosure. I don’t know about you, but I’ve spent more time trying to find the perfect area rug than I have contemplating major life decisions… you know, like whether he was “the one,” or the age-old question “what’s for dinner.” Those kinds of decisions were easy compared to finding the perfect area rug! If we’re being honest, it took me over two years to pick out an area rug for our living room. Two years! Wars have been fought in less time than that! And in the meantime, our hardwood floors sat bare and lonely. It wasn’t so bad in the summer, but in the winter I swear those winds blow straight from the North Pole into our home. And having a nice rug instead of bare floors really makes a huge difference between staying warm and cozy and wearing 10 layers of clothing. I mean is there anything worse than walking on a freezing cold floor in the winter? If we’re being completely honest, I spent so much time agonizing over the perfect rug, I didn’t even think about putting a rug pad underneath it. 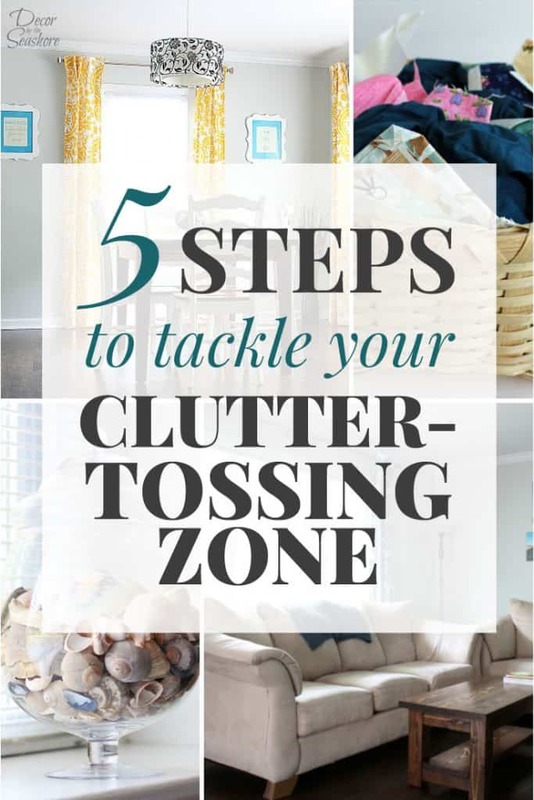 Did you know that you really shouldn’t just plop the rug down on the floor and be done with it? That’s actually really terrible for your floor and rug. 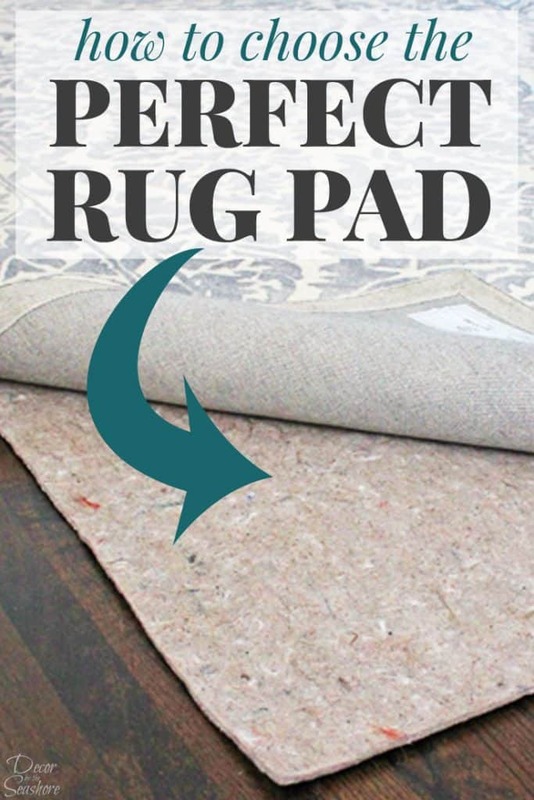 Luckily, it’s an easy fix and it doesn’t take two years to find the perfect rug pad! Whether you realize it or not, your floors are an investment. Just think of how much money you’d have to spend to redo your floors. Flooring gets expensive fast! No matter what kind of floors you have in your home–hardwood, tile, concrete, laminate, or even carpet–you can be sure they would be costly to refinish or replace. Protect your floor from scratches, marks, and spills. Provide extra cushioning and insulation under your rug. Hold your rug in place and keep it from slipping and sliding. Protect your rug by absorbing the impact of everyday use. 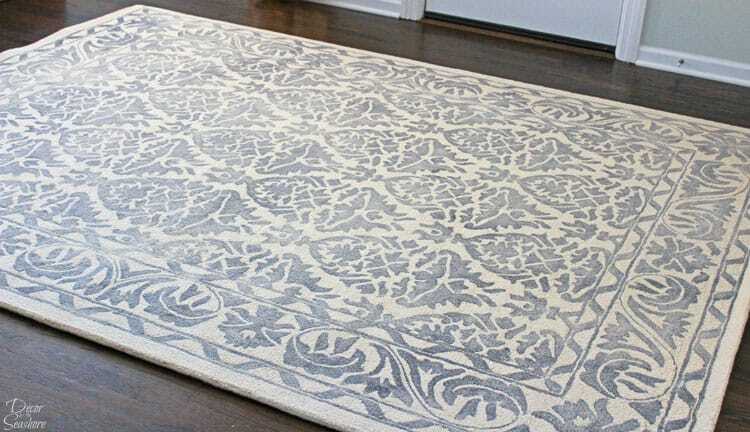 Thicker rug pads work better with thicker, heavier rugs because they don’t show underneath and won’t bunch up. A nice, plush rug pad can add a bit of cushioning and extra insulation to the rug. Thinner rug pads are better for thinner rugs. Smaller, thinner rugs need a rug pad with good grip to keep from slipping and sliding, especially in high-traffic areas. Larger, heavier rugs might not require as much grip, especially if there is furniture sitting on top. Slicker flooring types like wood will require better grip than something like carpet. Your rug pad will be sitting directly on your floors for many years. You want to choose a rug pad made from good quality, natural materials to ensure your floors stay nice and protected for years to come. 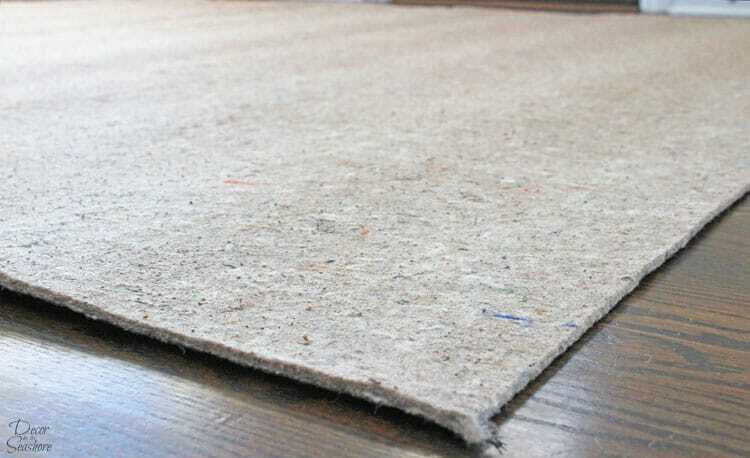 Rug pads made of cheap materials and fillers will degrade and wear out quickly, which can affect your rug and floor. 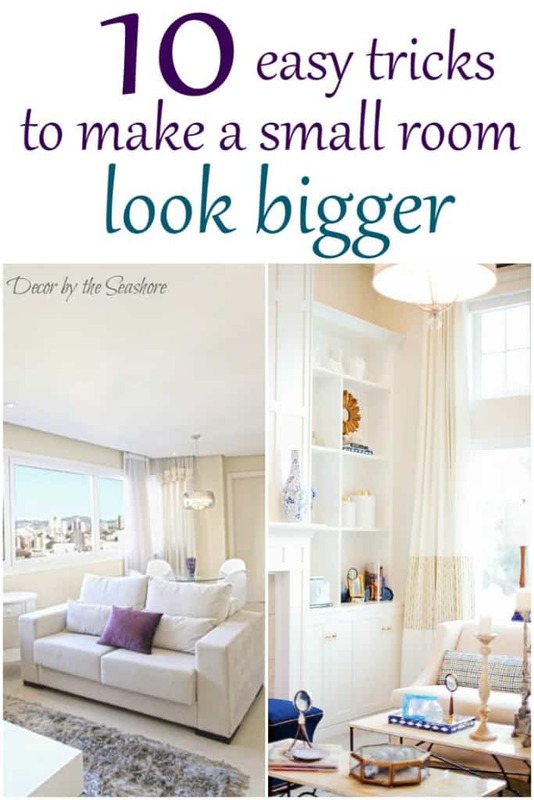 The rug pad should be just a few inches smaller than your area rug so it doesn’t show around the edges. Most rug pads can be trimmed if you find they’re too big. You shouldn’t be able to see a properly-sized rug pad under the rug! The rug pad you see in these pictures is the Superior Lock from RugPadUSA. It has a thick felt top and natural rubber grip on the bottom to keep from slipping. I love how it adds just the right amount of padding to my rug to make it cushier and give it a little more spring. I notice a big difference in the level of comfort and insulation versus when I had the rug down without the rug pad. RugPadUSA’s website is super simple to navigate and makes it easy to find the perfect rug pad. You select your type of flooring, and it shows you the rug pads that would work best for your home. They have different options depending on how much grip and cushioning you need. 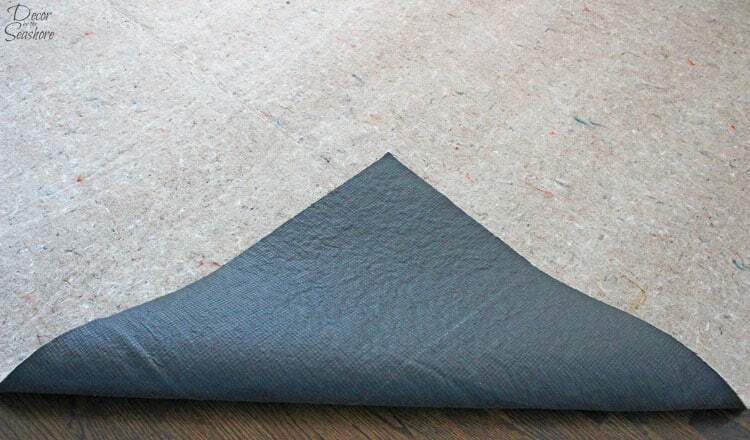 Once you choose the rug pad that you want, you just enter the dimensions and they custom cut the rug pad to the size you need. So you don’t need to worry about cutting it yourself, because who wants to deal with that hassle? 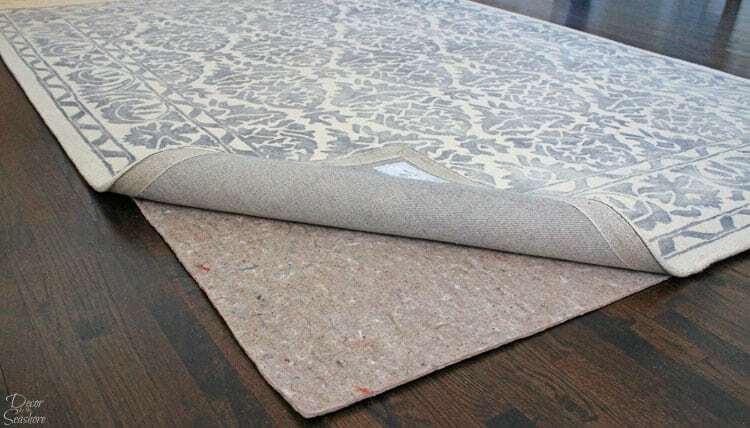 Even though you don’t see it, a rug pad is essential for protecting your floors and rugs. This is one of those things that is so easily overlooked, but incredibly important to keep your floors and rugs in good condition! Just remember, what goes underneath the rug is just as important as what’s on top! If you have any questions about selecting a rug pad for your home, feel free to leave them in the comments! And if you enjoyed this post, you’ll love my newsletter. 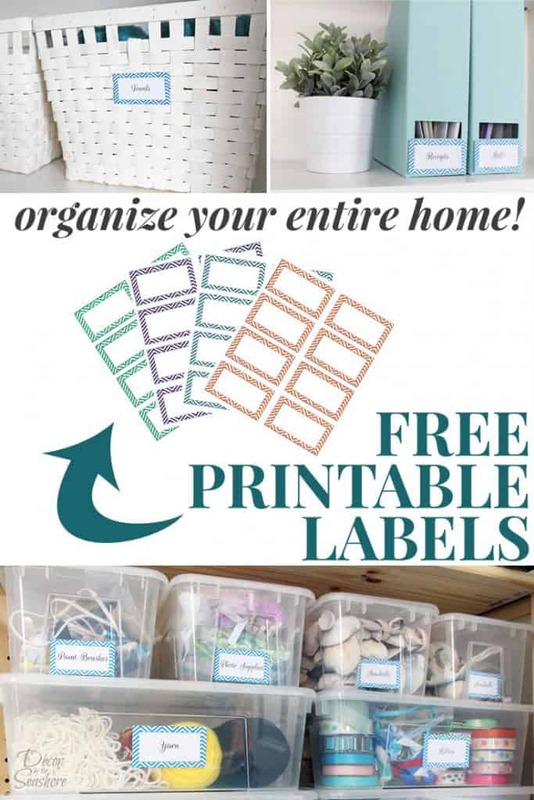 Sign up below for weekly e-mails that will help you decorate, organize, and DIY your way to a beautiful home! A mist for all those slippy slidey rugs. We have tiles in our home so I don’t worry about the abuse from the rugs. It’s that slippy slidey feeling that gets to me. I can’t stand those rugs that slide out from under you, Mary! They’re so unsturdy feeling. Rug pads are such a safer, easier solution! Hi Celeste! Great tutorial on selecting a rug pad. I’ve never given it all that much thought, but now I realize that I need to rethink my current rug pad which is probably too thin (I have a heavy shag rug in our living room). I plan on switching it out soon and will definitely revisit this post when I do. Thanks for the info! Thanks, Jelica! I love how much more plush our rugs feel with a nice, thick rug pad under them! A heavy shag rug would probably do well with one of those thicker rug pads, too!